Tomorrow on the Noble Art of Wellbeing I will be talking to Tommy is one of the world’s most and best trained therapists and has exclusive training in the United States, Canada, England and Sweden. Over the last 16 years he has inspired, motivated and developed thousands of athletes, communities and companies both mentally and physically. He is privately educated as one of the world’s unique 15 postural therapist, Osteopath DO, inaugural three principle transformer, personal trainer, nutritionist, basic medicine and certified massage therapist. Today, Tommy is working as a personal professional individual footballcoach. That is to develop professional leaders and football players to get the optimum of their potential both in career and life. 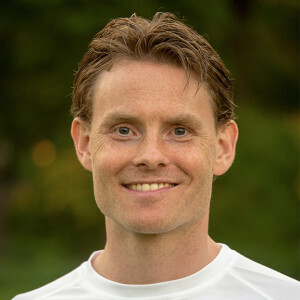 Tommy is also the founder of the company Runfeeling. Runfeelings is intended to be educational portal for a new basic training and therapy developed by Tommy Olausson where they use natural movements, specific exercise and manual therapy to prevent injuries, breakdownpain and optimize movement patterns. The goal is to develop and teach people to walk, stand and run by their innate sense and proper technique. Tommy has with his experience, mainly through this own injuries and 1000’s of client hours discovered the secrets underlying to the causes of pain in motion. Examples of symptoms being treated is runner’s knee, jumpers knee, diffuse kneepain, inflamed achilles tendon, heel spurs, shin splints and back pain while running that is all-depleting pain from movement. The results of training with Tommy and his coaches are great for those who want to make a change in their lifestyle to move more naturally and free from pain. They now want to share their insights and help everyone to rediscover their innate sense of movement and get the opportunity again to feel free in their body. Listen in and find out about Tommy passion and be inspired.